The National Cadets Corps students of Khalsa College Amritsar have brought laurels by winning medals in the shooting competitions during the inter-battalions events, held here recently. 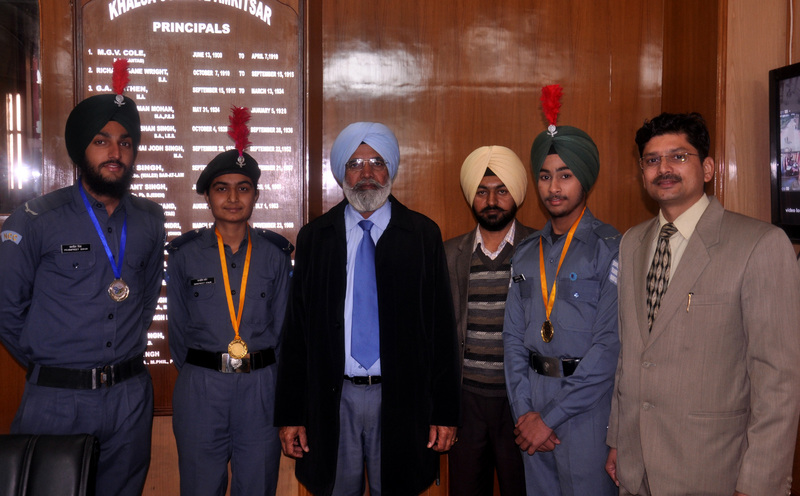 The students, attached with 2nd Punjab Battalions, won two gold and one silver medals. Principal of College, Dr. Mehal Singh said Cdt. Hardeep Singh, a student of B.Sc. IT Sem-II and Cdt. Manpreet Kaur, student of BCA Sem-IV, Stood first and won gold while Cdt. Prabhpreet Singh of BCA Sem IV stood Second and won silver medal. He congratulated the cadets and said the sincere and dedicated efforts of the cadets, their flying Officer Rakesh Shamra (NCC Officer of the College) helped them won the laurels.